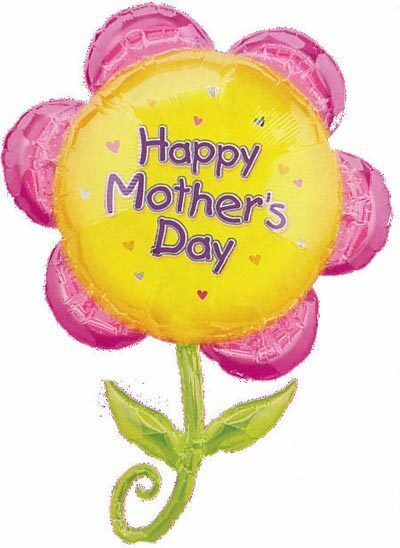 Mother's Day is here and the list below is something I ghost wrote many years ago for a popular music website of those days but still very relevant. So, Mother's Day is nothing more than an industry-fabricated commercial holiday meant to throw retailers a bone between Christmas, New Year and Back-to-School who cares? but its difficult to ignore our own great mothers on this most special of days. Accordingly, I present a list of the top 10 Mother songs (or should I call my personal favorites) that celebrate our Mothers. Less loving and loyal children might be tempted to make light of this most sacred of days by including such obscene tunes as "Turn This Mutha Out", "She's a Bad Mama Jamma", "Up Against the Wall Redneck Mother," or even just plain mean-spirited songs like "Mother's Little Helper" or Pink Floyd's "Mother" (with its lyrics including such trash as "Mother's gonna make all your nightmares come true/Mother's gonna put all her fears into you," obviously the product of an disrespectful, unthankful child,) but not me. This list is composed strictly of (old but gold) songs specifically about loving and appreciating your mother. Heck, they deserve it. Cub - "Mom and Dad"
These energetic female indie-punks' message to their parents is simple: "You did a good job." Desmond Dekker - "Honor Your Mother and Your Father"
This legendary Jamaican singer's first hit proves that even the rudest of boys still knows to love, honor and obey his mother. Goodie Mob - "Guess Who"
They especially love their mama's down in the Dirty South, so it's only fitting that this Soul Food classic finds the Goodie Mob in top form. Johnny Cash - "Send a Picture of Mother"
Facing a lifetime in prison without likelihood of a parole, the unfortunate soul narrating this tear-jerking tune asks but one thing of his soon-to-be-free cellmate: "Send a picture of mother if you can." Merle Haggard - "Mama Tried"
An elegy to a mother's devotion against all odds, this country classic exonerates mom from any responsibility for her wayward son's misdeeds, leaving only he - who turned 21 in prison doing life without parole - to blame. Intruders - "I'll Always Love My Momma"
The title of this Philly Soul classic from the pioneers of Philadelphia Soul - dedicated to the boys' "favorite girl" - says it all. Osborne Brothers - "A Vision of Mother"
Bobby and Sonny Osborne use their close harmonies and obvious blood-ties to deliver a moving tribute to their dear departed mother. Temptations - "Oh Mother of Mine"
Papa may have been a rolling stone, but mama was a rock. This humble, sincere song finds the Temptations' Paul Williams predictably wounded by love and begging his mother to forgive him for not following her sage advice in the first place. This sensitive thug-love classic contains such heartfelt sentiments as "even though I sell rocks, it feels good putting money in your mailbox." Should try to listen some of these sometime. "I'll always love my mama" was by The Intruders not The O'jays. Nice list though. @Jewel.Have corrected the credits now.thanks.